what is the "Deep State?" - why did the Deep State let them steal the election? probably because the next economic contraction is looming due in part to passing peak energy and Trump will get the blame and impose austerity and repression. - Fracking for oil and gas has peaked due to debt and depletion. Trump's promise to revive the coal industry is physically impossible, since coal peaked in the US in 1999 (in Pennsylvania, coal peaked in 1920). - Trump's cabinet: "crazy people who understand we're entering the downslope of energy supplies and it's a mad scramble to grab what is left"
- Bush the Lesser was unpopular in his first few months, once 9/11 was allowed to happen his ratings went from the 40s percentage to 90 percent. Let's hope the people behind Trump are not similarly tempted to boost his popularity. - suggestions: chip through the frozen layer of denial over these problems, honest discussions about election fraud, limits to growth as the underlying factor in the economic crisis, transcend "Peak Blame" and scapegoating, recognize there are many flavors of disinformation (from right and left) that distract from clarity. - the antidote would include moving beyond binary modes of thinking, the false choice of Trump vs. Clinton (neither is acceptable), practical relocalization logistics instead of politics are more important as the global economy breaks down. Where does your food come from? How can communities be more cooperative and resilient? will Trump be the fifth President thwarted by the intelligence agencies? "oil we are saying is give impeachment a chance"
Donald Trump has finally taken his oath of office and assumed the role of President of theUnited States of America. His inauguration on Friday, January 20th coincided with numerous protests both in Washington and in cities across the US and around the world. Trump’s rise to power and his cabinet picks have provoked numerous questions. Will he indeed build a wall between Mexico and the US? Will he register Muslims? What will become of the Free trade agreements like NAFTA which he has vowed to scrap or renegotiate? If he is mending relations with Russia, what will that mean for current hot-spots Syria and Ukraine, and for foreign policy generally? On this week’s Global Research News Hour we take a look behind the scenes to determine how political events such as the recent election, are being manipulated to achieve elite ends, and the consequences for US democracy, and perhaps the future of Humanity. Dr. Jack Rasmus is a progressive journalist, radio host, former union organizer and local president, and author. Hs upcoming book, ‘Central Bankers on the Ropes: Monetary Policy and the Next Depression’ will be released in April. Professor Michel Chossudovsky is an award-winning author, Professor of Economics (emeritus) at the University of Ottawa, Founder and Director of the Centre for Research on Globalization (CRG), Montreal, and Editor of Global Research. Mark Robinowitz is a writer, political activist, ecological campaigner and permaculture practitioner and publisher of oilempire dot us, a political map to connect the dots. 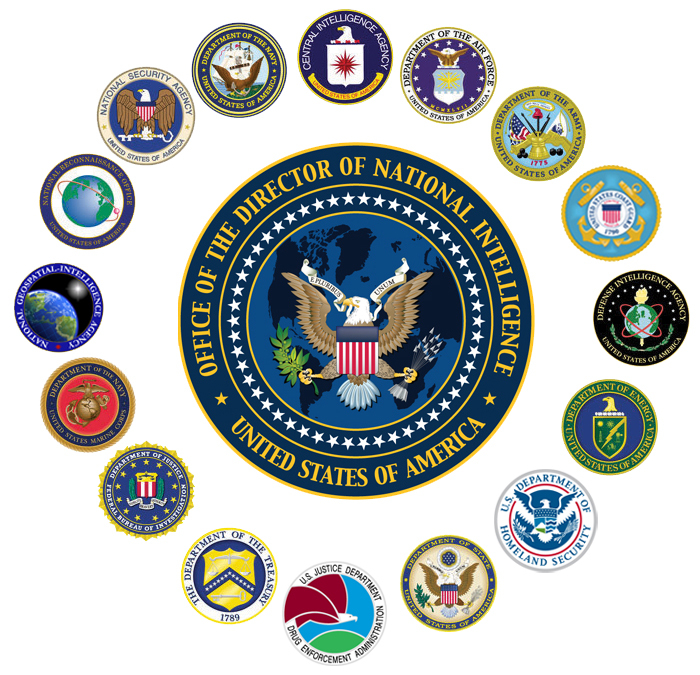 The term "deep state" has gotten considerable coverage since Trump's alleged election win, notably due to opposition to his administration by factions in the United States Government Intelligence Community who see his Presidency as a threat to the ability of the USA to main its power due to Trump's incoherence and incompetence. Right wing supporters of Trump have charged the "Deep State" is trying to undermine his legitimacy -- which is mostly correct. Some left wing critics of the spy agencies (notably Glenn Greenwald) have popularlized the concept as well, but the paradigm is decades old, long before President Trump. One possible origin of the term "deep state" was in the 1990s in Turkey, derin devlet is the term there (it means deep state). It refered to collusion between the secret police and the military, mafia types and others in the shadow state. Another possible origin is Peter Dale Scott's book Deep Politics and the Death of JFK. Eisenhower's "Crusade for Peace" was thwarted by the CIA. He had planned to travel to Moscow for a summit with Krushchev. Eisenhower ordered a stand down of the U-2 program but the CIA sent it up on May Day, 1960 anyway, in defiance of Presidential orders. Krushchev canceled the summit in response. Eisenhower also realized he did not have control over the nuclear weapons of the Strategic Air Command (General Curtis LeMay). This was the motivation for his "farewell address to the nation" where he warned about the power of the "military industrial complex." During the war, the Manhattan Project created secret cities to invent atomic bombs, among them Los Alamos, NM, Oak Ridge, TN and Hanford, WA. Only a tiny percent of the workers in these places knew what the end product would be (at Hanford only about one percent knew). The secrecy system became the model for the post war National Security State, guarding the perceived secrets of the nuclear arsenal and war plans, covert operations to destablize other countries, and ultimately, to manipulate our own society. The "coming out" party for the Deep State was their removal of John Kennedy from the Presidency on November 22, 1963. We don't have three branches of government in the USA, we have two: the overt, which we learned about in school, and the covert, which runs the National Security State. Jim Garrison led the sole prosecution of one of the perpetrators of the JFK assassination - his book "On the Trail of the Assassins" was depicted in the Oliver Stone film "JFK." I was with the artillery supporting the division that took Dachau; I arrived there the day after it was taken, when bulldozers were making pyramids of human bodies outside the camp. What I saw there has haunted me ever since. Because the law is my profession, I've always wondered about the judges throughout Germany who sentenced men to jail for picking pockets at a time when their own government was jerking gold from the teeth of men murdered in gas chambers. I'm concerned about all of this because it isn't a German phenomenon; it's a human phenomenon. It can happen here, because there has been no change and there has been no progress and there has been no increase of understanding on the part of men for their fellow man. Michael Glennon on the dilemmas of Trump and the Deep State.